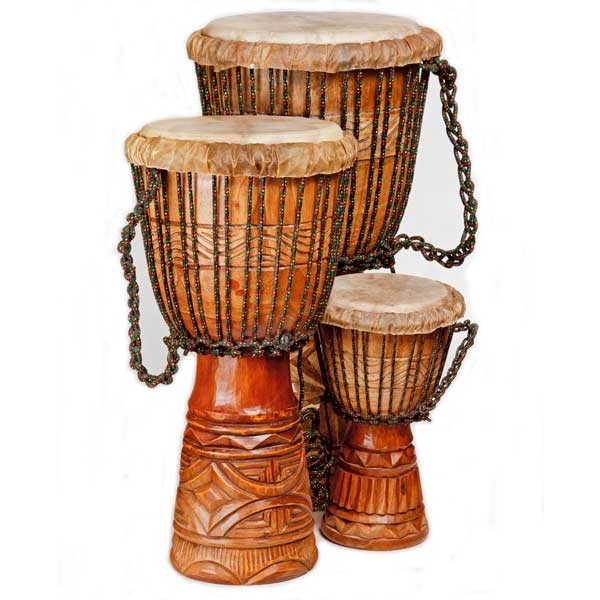 These beautiful handmade Djembe drums have a thick hardwood shell excellent for producing the hand craved designs and a ‘deep toned’ djembe. 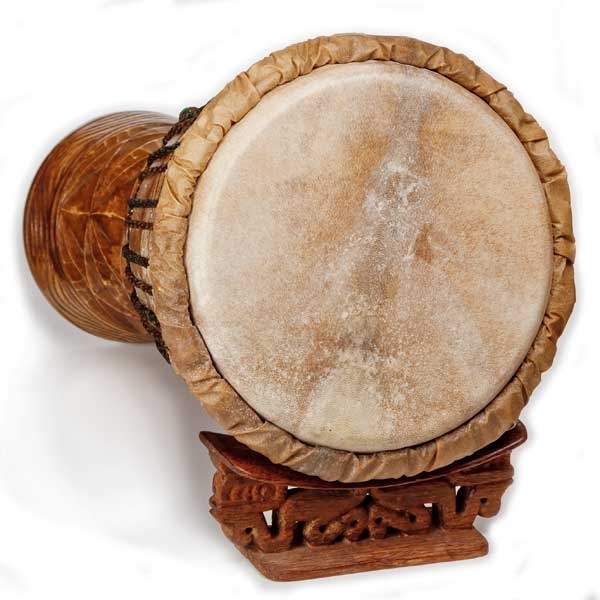 The goat skin while still wet, is placed on the drum with the ring system while the rope verticals gently pull the rings down a bit. Then it's left to dry completely naturally before the vigorous pulling and twisting required to tune the drum happens . Top quality nylon-core rope with a ‘Rasta’ finish is used, with extra rope supplied for future ‘tightening’ requirements. 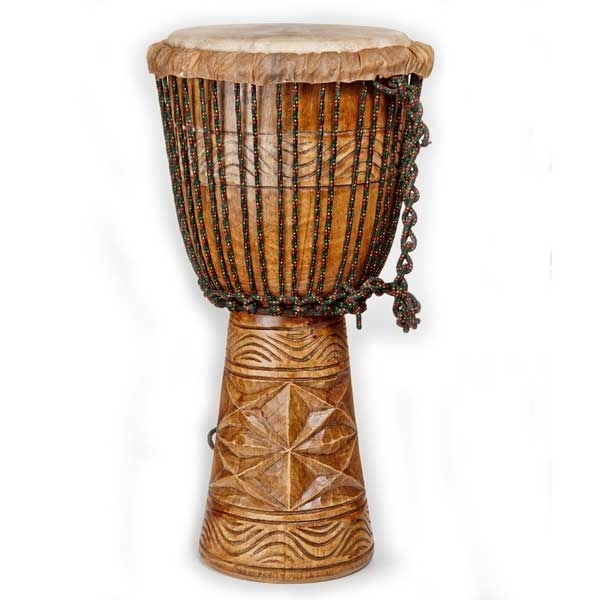 The hand craving produces an excellent finish and a drum anyone would be proud to own. They sound great and make a perfect gift for family or friends. Please note: Because all our drums are hand crafted and finished, the wood colour may vary slightly from drum to drum. All the cravings are slightly different as well as can be seen in the pictures.